When: Tues., July 3, 7 p.m. Virtual Seismology. 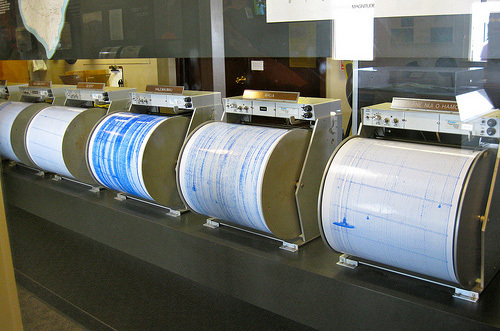 Dr. Wes Thelen, seismologist for the U.S. Geological Survey’s Hawaiian Volcano Observatory, will introduce new online tools available for the public to interpret earthquakes. With a basic understanding of the available tools, individuals will be able to explore both tectonic and volcanic seismicity in Hawai‘i and around the world. 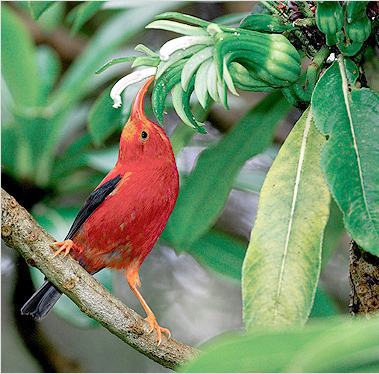 When: Tues., July 10, 7 p.m.
Hawai‘i’s Bird Pollinators: A Love Story. This year marks the 25th anniversary of the park’s designation as a World Heritage Site. As part of our ongoing celebration, Professor Jonathan Price of the University of Hawai‘i-Hilo, explains the connection between Hawai‘i’s native endemic birds and ancient flowers. This spellbinding program reveals a love story in one of the most isolated forests on earth. Part of Hawai‘i Volcanoes’ ongoing After Dark in the Park series. Free. When: Sat., July 14, 10 a.m. to 3 p.m.
32nd Annual Cultural Festival. Hawai‘i Volcanoes National Park hosts its 32nd Annual Cultural Festival! This annual, one-day gala event is a popular one, with anticipated attendance of 5,000 visitors. This year, the cultural festival promotes the importance and understanding of hula kahiko, traditional arts and crafts, and contemporary Hawaiian music. Featured hula hālau include: Keiki o Hālau o Kekuhi; Hālau Ulumamo o Hilo Palikū; Hālau Hula ‘O Kahikilaulani; and Hālau Ha‘a Kea o Kinohi. 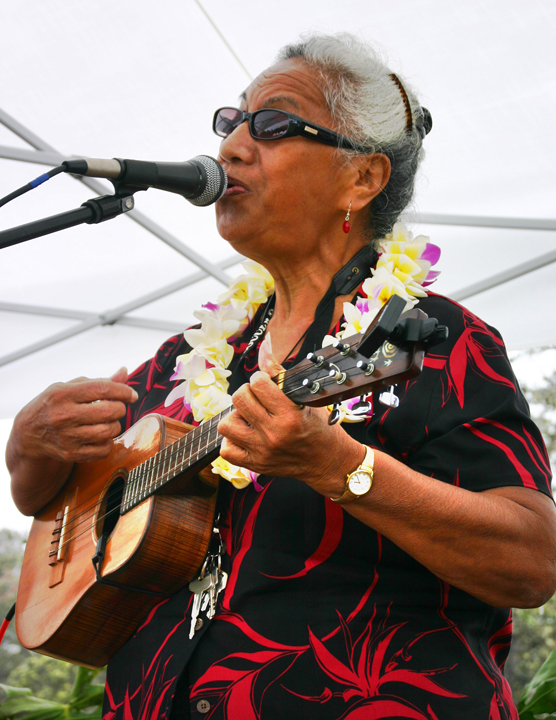 Musical entertainers include the band Mānailehua and Aunty Diana Aki. This is a fee-free day! 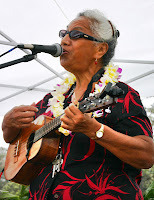 When: Wed., July 18, from 6:30 to 8 p.m.
An Evening of Music with Hilo One. Come enjoy the Hawaiian music of entertainers R. Likeke Teanio (lead guitar, ‘ukulele and vocals), Aaron Agres (electric upright bass, vocals), and Kahele Miura (acoustic 12-string rhythm guitar, vocals), as they regale the audience with their astonishing instrumentation and vocals. Part of Hawai‘i Volcanoes’ ongoing Nā Leo Manu “Heavenly Voices” presentations. Free. 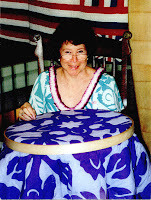 When: Tues., July 24, 7 p.m.
Hawaiian Quilting: Stitching a Legacy. 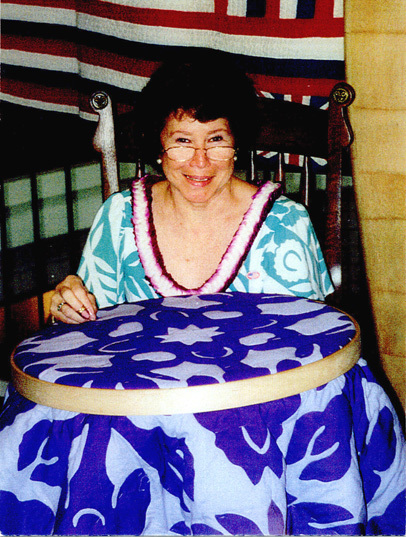 Roberta H. Muller leaned the art of Hawaiian quilting literally at her grandmother Theresa Iseke Quinn’s feet. Today, Roberta is widely recognized for her skillful work on many large quilts in the traditional Hawaiian style, and for teaching and sharing this wonderful craft. Part of Hawai‘i Volcanoes’ ongoing After Dark in the Park series. Free. Ki‘i Pōhaku. 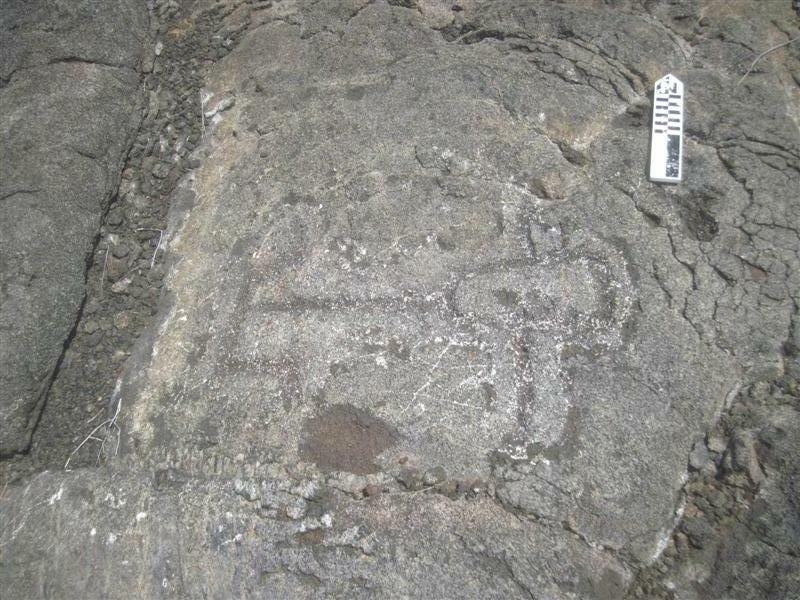 Join Park Ranger Jaeneise Cuison as she demonstrates the art of ki‘i pōhaku, or carving into rock. 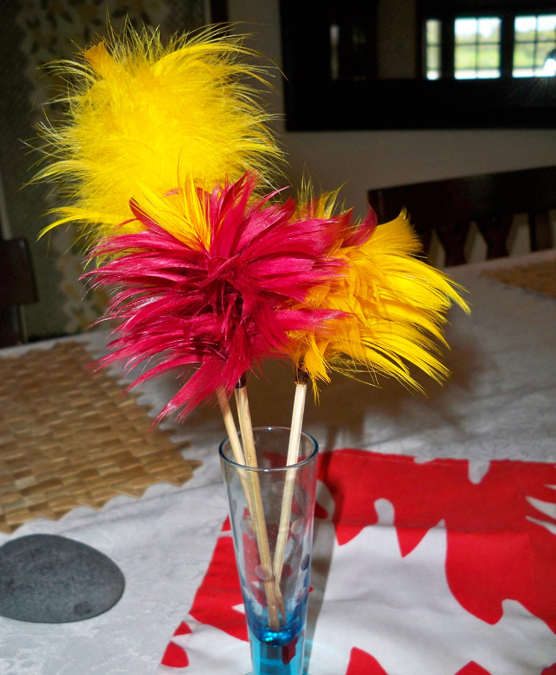 Simply watch and learn, or join in and make your own ki‘i pōhaku to take home. Fun and easy for all ages. Part of Hawai‘i Volcanoes’ ongoing ‘Ike Hana No‘eau “Experience the Skillful Work” workshops. Free. Taro, or kalo, as it was known to early Hawaiians, achieved primacy in the Hawaiian Islands as the most important crop and was produced in a large number of cultivated varieties. The cultivation of taro was associated with the god Kane, procreator and giver of life, and in the Hawaiian legends, it was considered the first born from the union of sky father (Wakea) and earth mother (Papa) and as such was considered first in birth, and genealogically superior to man himself. Taro (Colocasia esculenta var. antiquorum), is a member of the aracea family, which includes such well-known plants as philodendron, dieffenbachia (dumb cane), anthuriums, pothos, caladiums and alocasia, to name just a few. 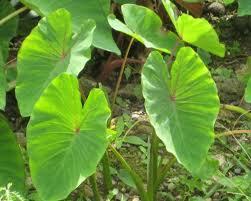 Humans have cultivated it for thousands of years, and it is found in most tropical and subtropical areas of the world. Variations of taro grow in the Caribbean Islands, where they are known as malanga, name and gueaguei. For fast cooking of taro, peel and cut in pieces. Pour enough water to cover and boil. If it is to be used in poi, cook longer. Mash while still hot. Serve as you would mashed potato or use in other recipes. On its own, taro is very bland, but complements the tastes of other, richer foods. 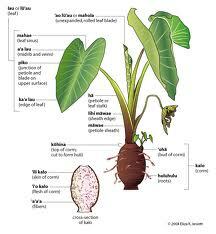 Taro, in the form of poi, is the primary starch in the native Hawaiian diet. 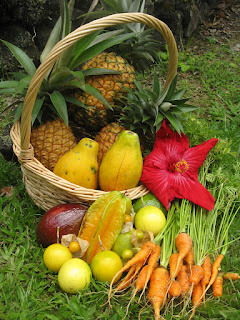 Easily digested by babies and older kupuna, it is part of a very healthy, nutritious diet. Note: Some varieties of raw or uncooked taro contain tiny crystals of a substance called calcium oxalate, a natural pesticide. Chewing raw or half-cooked taro can set free these needle-like crystals and cause an uncomfortable itching in the mouth and throat. Cooking the taro throuroughly will prevent this. 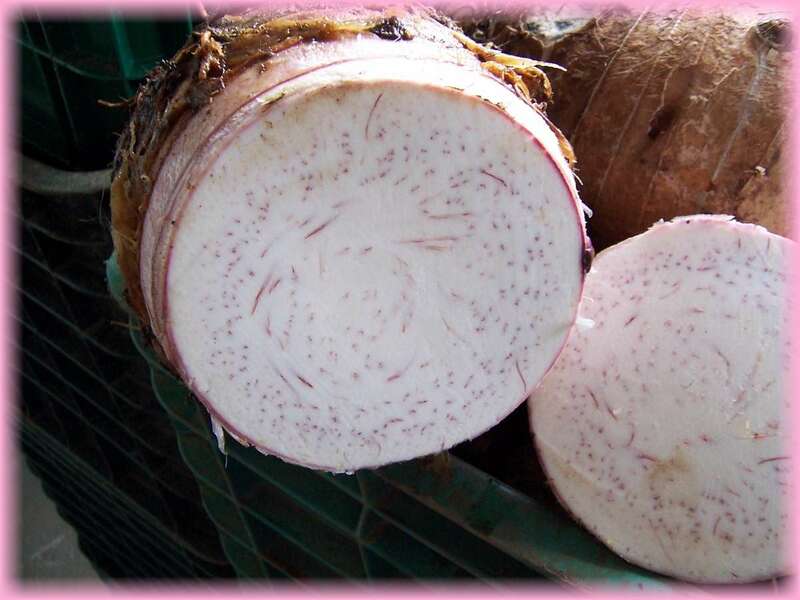 When prparing recipes that include grated taro, it is a good idea to cook the root before grating. 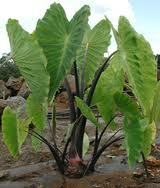 In the Hawaiian Islands, taro plants are eaten after thoroughly boiled to destroy the toxins. The leaf (luau - also the name of the feast using taro leaves) must be boiled at least 45 minutes over low heat, whereas corms are boiled in a deep pot with salted water for at least an hour or until soft. 1 tablespoon butter, 1/2 medium minced onion, 1 tablespoon freshly grated ginger, 1 1/2 cups water, 3/4 cup taro, boiled and mashed, 1 cup coconut cream, Hawaiian sea salt to taste, freshly ground pepper to taste. Saute onion and grated ginger in butter. Add mashed cooked taro and mix well. Add water while stirring contsntly. Cook for 5 minutes. Pour coconut cream into the mixture and season with salt and pepper. Serve hot. Can substitute with breadfruit instead. Serves 2. Recipe can be easily doubled. After serving, you can add your choice of a dollop of fresh yogurt or creme fraiche, fresh chopped green garden onions or a dash of your favorite hot sauce. Stay at Hale Moana Bed & Breakfast and visit the Hawaii Volcanoes National Park, where Nene have their natural habitat. Only 30 minutes away! 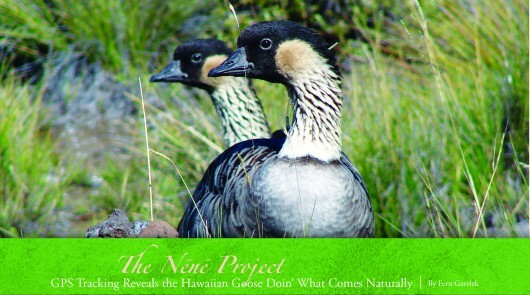 The project, Satellite Telemetry of Hawai’i’s Endangered Goose, began in early 2009 and is wrapping up this spring. A collaborative effort between the U.S. Geological Survey (USGS) and the National Park Service, the study outfitted 11 nēnē ganders with solar-powered platform transmitter terminals (PTTs). Worn by the male nēnē like mini backpacks—each one carrying a luxury price tag of $4,000—the PTTs tell scientists where the nēnē are via precise GPS coordinates. By February 2012, PTTs recorded the studied nēnē at about 12,000 islandwide locations. The coordinates provided daily insight to flight patterns and pit stops along the way, as well as preferred habitats for feeding, breeding and socializing. Nēnē are thought to have made landfall in the Hawaiian Islands some 890,000 years ago. It’s estimated their population grew to an estimated 25,000 birds. Ancient Hawaiians gave clues as to where they commonly saw nēnē, naming locations after them, like Kīpuka Nēnē on the slopes of Mauna Loa. “The bird’s plight had become so grave by 1949 that a captive propagation program was initiated,” says Dr. Hess, who is stationed at the USGS’s Pacific Island Ecosystems Research Center at Hawai‘i Volcanoes National Park. In 1950, there were only 20-30 birds known to exist in the wild—all of them on the Big Island. Dr. Hess credits “decades of captive breeding, releases into the wild, habitat management and predator control” for restoring nēnē to four of Hawai‘i’s largest islands. Classified today as an endangered species, nēnē are given broad protections under law to recover to a self-sustaining population. There are roughly 900 nēnē currently on Hawai‘i Island and as many as 2,000 combined across four major islands, which include Maui, Kaua‘i and Moloka‘i. According to Dr. Hess, wildlife managers noticed in the late 1990s that Big Island nēnē had “begun regularly moving” between leeward Kona, the isle’s windward side and the southern Kahuku areas. The satellite telemetry tracking, it was felt, would be the best way to get the answers with the island’s dense and varied terrain. Ganders for the study were chosen from several locations where flocks frequented, such as Hawai‘i Volcanoes National Park (HVNP) and Big Island Country Club (BICC) in Pu‘uanahulu. Once the data started coming in, the nēnē revealed their flight patterns and it was found they were once again roosting at their historic haunt of Kīpuka Nēnē, a rugged site high on Mauna Loa in HVNP’s Kahuku area. Also, it was noted the birds’ north-south and east-west island crossings were intersecting at Kīpuka ‘Ainahou in the island’s high saddle, where some of the last wild nēnē were observed. “It was puzzling that birds discovered at Kīpuka Nēnē came from the Hakalau Forest National Wildlife Refuge some 50 miles away, yet the Hakalau population did not exist prior to 1996,” says Dr. Hess. He adds that the terrain of Kīpuka Nēnē has changed dramatically over time from an open ‘ohi‘a forest with small pools and sedges to one that had been altered by “one of the largest lava flows on Earth.” However, still the nēnē returned there. Dr. Hess notes the behavior of nēnē reappearing in ancestral places makes researchers wonder if it took the captive-raised population 50 years “to figure it out” or had a small number of wild survivors passed this knowledge on to contemporary descendants? “We still don’t know for sure, but it seems to be catching on in a big way,” he adds. The ganders also exhibited a pattern of seasonal movement—from lowland breeding grounds during the winter to high-elevation, non-breeding areas in the summer. The geese visited subalpine scrub during the summer, which is home to ‘ōhelo berry and pukiawe—traditionally their favorite foods. 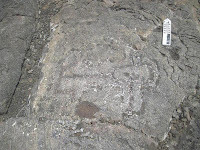 Telemetry also showed that Kīpuka ‘Ainahou acts like a “social magnet” between the BICC and Hakalau Refuge populations. “We think Kīpuka ‘Ainahou is where youngsters are hooking up with potential mates and, if that’s the case, then there’s more interbreeding among populations,” notes Dr. Hess. “This is important because nēnē need to transcend their lack of genetic diversity.” He says low genetics is an issue because of inbreeding among the few captive pairs in the 1950s to save the species. Dr. Hess stresses wildlife managers are encouraged by the re-establishment of traditional nēnē movement patterns. “Nēnē in the Space Age” identified what locations are being used by nēnē today and why. Some protection is already in the works. Nēnē, which mate for life, return each year to breed at HVNP. “We have a little over 200 birds either breeding in the wild, in the Kīlauea and Mauna Loa Strip areas, or in a two-acre ‘exclosure,’ which keeps out predators with a fence,” explains Dr. Rhonda Loh, natural resource chief at HVNP. She says a grassy lawn is mowed for the birds inside the exclosure, while the park’s other breeding birds forage for berries and grass in the wild. “Sometimes we’ll assist birds breeding outside the pen by temporarily closing a park trail to minimize human disturbance to nesters,” continues Rhonda. “The ponds at BICC are used by nēnē primarily for protection and bathing—they get most of the moisture they need for diet from grass,” details John Polhemus, a wildlife biologist. “Nēnē molt (shed their feathers) between February and May and for about a month are flightless, so the ponds provide an escape from predators.” He says nature “takes over the timing” when breeding adults molt and re-grow feathers so they and their young can fly together. “It’s especially important to protect the breeding locations for nēnē so their populations can continue to recover,” emphasizes Polhemus. John, who owns JT Productions, is contracted by the DLNR’s Division of Forestry and Wildlife to monitor the 130 nēnē making up the West Side Flock: those frequenting BICC, sections of Pu‘u Wa‘wa‘a and Waikoloa Village Golf Club. BICC has a partnership with the new Hawai‘i Wildlife Center (HWC) in Kapa‘au, which has set a goal of receiving birds for rehabilitation starting May 2012. Since 2006, BICC has been donating a portion of its greens fees to HWC, which have totaled $2,500. “We will be working with BICC to treat any sick or injured nēnē that come from the course,” says Linda Elliott, HWC president and center director. She points out HWC is the only facility that will be rehabilitating native birds from the entire Hawaiian archipelago. HWC, which completed major construction last November, has provided BICC with info and photography to provide guidelines for golfers using the course. In addition to nēnē, BICC is home to the endangered Hawaiian coot (‘alae ke‘oke‘o), black-crowned Night Heron (‘auku‘u), Hawaiian Hawk (‘io) and the short-eared owl (pueo). While The Hawaiian goose is increasing in numbers, it still faces challenges of low genetic diversity, periods of drought and an ever-shrinking natural environment with non-native enemies. to help protect this beautiful and resilient state bird in its native habitats. How We Can Best Live with Nēnē? How can we help them to thrive? One solution is to leave them alone. “Nēnē are grazers, and feeding them decreases their proficiency at foraging in the wild, causing a variety of problems,” emphasizes wildlife biologist John Polhemus. Feeding results in incorrect diet. Case in point is a female nēnē that lives at BICC year-round because she has an “angel wing.” The flightless condition is common among ducks and geese that are fed by humans, resulting in a nutritional imbalance. “People think they are helping by putting out water and food—they aren’t,” stresses Polhemus. He says feeding nēnē from vehicles teaches the geese to get in the path of traffic. As nēnē are protected under the Endangered Species Act of 1973, it is illegal to kill, harm or harass them, including disturbing nesting individuals or altering their behavior. Violations can be reported by calling 808.887.6063. October through April is the most sensitive time for nēnē because individuals are pairing up to nest and rearing goslings. Information signs at HVNP caution vehicles to slow down to watch for geese crossing the road and visitors are encouraged to keep a respectful distance when observing birds. 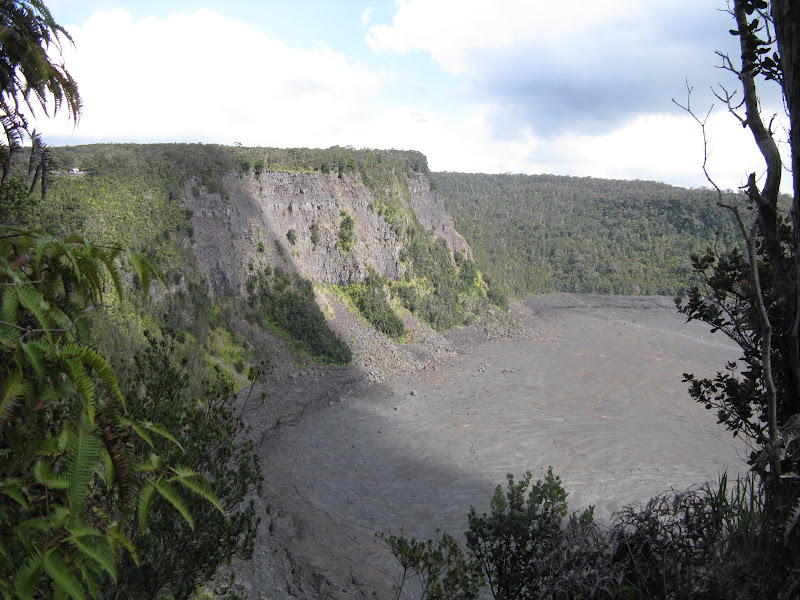 “We want visitors to keep far enough away so as not to alter their normal behavior,” advises Dr. Rhonda Loh, natural resource chief at HVNP. 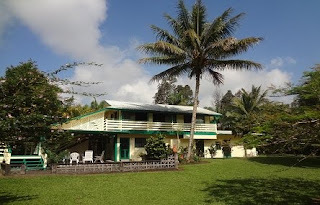 Stay at Hale Moana Bed & Breakfast and visit the Hilo - the Pearl of the Pacific: Only 30 minutes away! 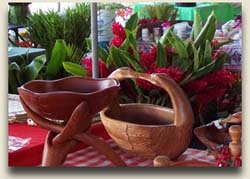 Hoolaulea on Moku Ola - Saturday, June 9, 2012 - 9:00 a.m. to 5:00 p.m.
Hilo Lei Draping ceremony - Sunday June 10, 2012 at 5 p.m. at the King Kamehameha Statue, Hilo bayfront. CELEBRATING King Kamehameha’s Birthday in Hilo with Lei Draping on June 10 and the day-long Festival on June 9. Kamehameha Day (June 11) is a State holiday honoring the memory of the great king, Kamehameha I, who united the Hawaiian Islands and became Hawai`i’s first king in 1810. The annual LEI draping of Hilo’s King Kamehameha Statue begins at 5 p.m. on Friday, June 10, 2011. The public is invited. 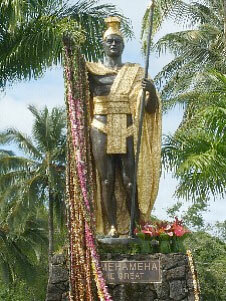 The Royal Societies and members of the community will present their ho`okupu (gifts) to honor Kamehameha the Great. The County Band and the Kamehameha Chorus will share music. The Kamehameha Festival, held on June 9 from 9 a.m. to 5 p.m., is a culturally significant event honoring King Kamehameha. The Royal Order of Kamehameha I has expanded the celebration, intending to protect, preserve and perpetuate the Hawaiian culture by sharing traditional Hawaiian dance, music, chant, practices, arts, and crafts with island residents and visitors. The festival is held on Moku ola (Island of Life, also known as Coconut Island), just over the bridge in Liliuokalani Gardens, off Banyan Drive, and is free to the public. For more information on the Kamehameha Festival see www.kamehamehafestival.org/festival. There's no better way to experience the amazing cultural diversity of Hawaii Island than to visit one of the many farmers’ markets that take place all around the island. You can't beat the prices or the selection. Just before dawn, as the sky begins to lighten at the rim of the horizon, the farmers markets come to life all across the Big Island. Trucks and vans and cars congregate at the stalls, as farmers and fishermen and craftspeople begin unloading boxes and crates and buckets and bags of the most wonderful produce, baked goods and handicrafts. A trip to the local farmers market is a bi-weekly necessity for most island residents, and it's a must-see experience for any curious visitor. 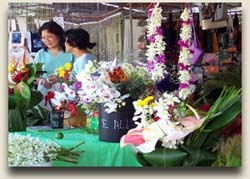 Nearly every community has at least a roadside stand offering fresh fruits and vegetables, but at the larger markets you may also find fresh-caught opakapaka (snapper) and smoked ahi (yellowfin tuna), spectacular floral arrangements and blooming orchid plants, locally made goat cheeses and hot sauces. This is family agriculture at its very best. Many farmers grow their fruits and vegetables on small plots, using sustainable farming techniques. Organic farming is popular in Hawaii, and organic growers are proud to state their policies of no-pesticides and no commercial fertilizers. Visitors from outside of Hawaii often don't recognize half of the fruits and vegetables grown here, and that's part of the fascination of the farmers markets. The eclectic mix of produce reflects seasonal availability, of course, as well as the many different ethnic groups that have contributed to the fascinating mix of foods found here. You may find ferns from Waipio Valley, used in Chinese and fusion dishes; Japanese daikon (radish), eggplants, cucumbers and edamame (soybeans); Hawaiian chili peppers; Thai basils and curries; Peruvian sweet potatoes; Portuguese sweet bread, sausage and malasadas (no-hole donuts). And there's always lots of fresh ginger, introduced by the Japanese but now used by everyone. And bananas! You may think that you can ignore bananas because they're so familiar, and focus on the more exotic fruits-but you may not have seen bananas like these before. Bananas sold in mainland supermarkets are usually Cavendish, a bland, slow-ripening variety that withstands the rigors of shipping. Here on the Big Island, however, you'll find a wide range of delicately flavored varieties such as diminutive apple bananas, vanilla-flavored ice cream bananas, robust Thompsons, and plantains for cooking. In most of the world, bananas are, after all, a staple food, a vital part of the local diet. Worldwide, the banana ranks fourth (after rice, wheat and corn) as the planet's most economically important food crop. And bananas, of course, are perfectly portable, the ideal snack to munch on as you strong through the rest of the market. 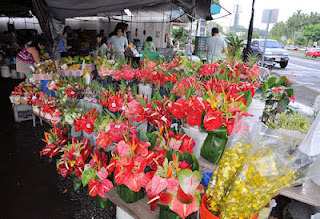 But don't forget the flowers: cut blossoms, growing plants, and intricately strung leis of every color and design. Gorgeous bunches of orchids, anthuriums, ginger blooms, and exotic bird-of-paradise burst from their buckets. At the lei stands, fragrant plumeria and gardenia leis swing from overhead displays or adorn stylish woven-straw hats. Prices are tantalizingly low, and many orchid growers specialize in shipping plants to the mainland, so you can purchase beautiful plants and arrange to have them land on your doorstep as soon as arrive home. It's a real feast for the senses. Take your time to browse, and be ready to "talk story" with the folks behind the tables. Many vendors will offer samples of their wares, so you may be able to sip fresh roasted coffees from Hamakua and Kona, sample flavored macadamia nuts, taste guava jellies or freshly made fudge. Fruit sellers may offer a slice of avocado or mango or cherimoya, or show you how to pop the top to eat a furry rambutan. For a fun and delicious experience, look for a coconut stand. Choose a green coconut, not a hard brown one, and ask if there's someone who can open it for you. Often, a coconut seller will oblige by wielding a machete to lop off one end so you can insert a straw and drink the clear, sweet liquid. (That's coconut juice, not coconut milk, which is pressed from the ripe nut.) If the liquid is a little frothy and has a delicate, slightly fermented flavor, that's a "champagne" coconut. The meat will be almost baby-food soft and quite sweet, not hard and dry like the brown coconuts in the supermarket. Farmers markets are also great places to find unique items created by local artists and craftspeople. Koa and coconut wood carvings, distinctive clothing and quilts, glass sculptures, paintings and photographs, one-of-a kind jewelry pieces-all are on display in the open-air markets, and you'll often get a chance to talk with the artists themselves. You're also likely to find live music; perhaps there will be a planned concert, but more often it will be a morning serenade by street-corner troubadours. A note about schedules: Many farmers markets are open for only a couple of days each week. For example, the award-winning Hilo Farmers Market-the largest and best-known farmers market in Hawaii-is open only two days a week. A few vendors staff their stalls in the marketplace every day, but Hilo Farmers Market unfolds in all its full splendor only on Wednesdays and Saturdays. Begun in 1988 with just a few produce sellers, this open-air market has grown to feature nearly 130 vendors selling everything from exotic fruits and flowers to specialty foods, jewelry, island-made clothing and traditional Hawaiian crafts. Any visit to Hilo is incomplete without a trip to this market! Check the list below for the most current information (as of November, 2005) on farmers markets around the Big Island; be aware, however, that days and hours may change at any time. 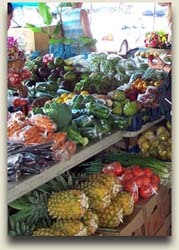 See the list below for information about the major farmers markets on the Big Island. Then, enjoy! Wednesday & Saturday, 7:00 a.m.-3:00 p.m.
Monday and Thursday, 8:00 a.m.-4:00 p.m.
2nd Saturday of the month from 9:00 a.m.-1:00 p.m.
Saturday & Sunday, 8:00 a.m.-2:30 p.m.
Tuesday, Thursday, & Saturday, 8:00 a.m.-3:00 p.m. When: Tues., June 5, 7 p.m.
‘Ike Kū‘oko‘a: Liberating Knowledge. More than 100 Hawaiian language newspapers were printed from 1834 to 1948, possibly the largest native-language cache in the western world. The papers were a repository of knowledge, opinion, and the historical progress of Hawaii, yet only two percent of the cache was readily available to the public. ‘Ike Kū‘oko‘a is an effort to open up the resource to all. Join Puakea Nogelmeier as he describes the exciting project, and how you can get involved. Part of Hawai‘i Volcanoes’ ongoing After Dark in the Park series. Free. Kenneth Makuakāne Live in Concert. Join 12-time Nā Hoku Hanohano award-winning singer, songwriter, and producer Kenneth Makuakāne as he shares songs from his latest albums, The Dash, White Bath Tub, Makuakāne, and other compositions. 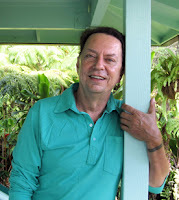 A prolific songwriter, his songs are performed at the Merrie Monarch Festival and his music is featured on the soundtracks for motion pictures including Honeymoon in Las Vegas and Parent Trap in Paradise. Kenneth is widely recognized as an innovator in Hawaiian music and has more than 100 albums to his producing credit. Part of Hawai‘i Volcanoes’ ongoing Nā Leo Manu “Heavenly Voices” presentations. Free. When: Wed., June 20, from 6:30 p.m. to 8 p.m.
Kai Ho‘opi‘i, An Evening of Hawaiian Music. 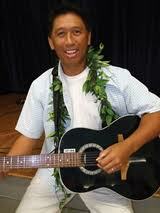 Listen to the sweet voice of Kai Ho‘opi‘i, sharing the music of his ohana from Kahakuloa, Maui. Kai Ho‘opi‘i is an Aloha Festivals Hawaiian falsetto contest winner. Part of Hawai‘i Volcanoes’ ongoing Nā Leo Manu “Heavenly Voices” presentations. Free. When: Tues., June 26, 7 p.m.
Hawai‘i Island: In the Line of Fire! Increased drought, development near wilderness areas, an influx of invasive vegetation, and human-caused ignitions, all create hazardous conditions and place many human and ecological communities at risk for wildfire. 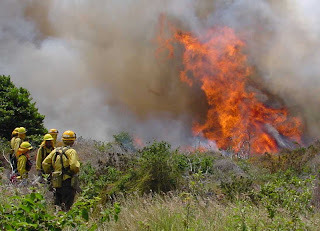 The Hawai‘i Wildlife Management Organization (HWMO) works collaboratively with agencies, landowners, communities and researchers to plan and implement projects to reduce the risks and impact of wildfires. HWMO Executive Director Elizabeth Pickett shows what residents and communities can do to prepare their families and protect their homes from future wildfire events. Part of Hawai‘i Volcanoes’ ongoing After Dark in the Park series. Free. 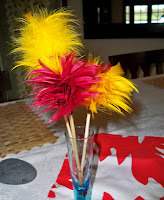 Feather Kāhili-Making. Join park rangers Keoki Wells and Jaeneise Cuison as they demonstrate the art of making a feather kāhili, a symbol of Hawaiian royalty. Simply watch and learn, or join in and make your own kāhili to take home. Part of Hawai‘i Volcanoes’ ongoing ‘Ike Hana No‘eau “Experience the Skillful Work” workshops. Free.